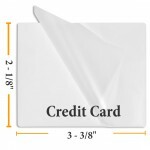 Matte laminating pouches provide a high quality, low glare laminated product. 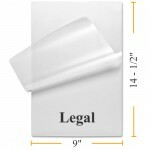 Our universal matte lamination pouches can be used in any thermal laminator machine. 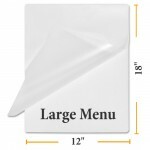 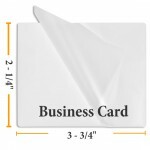 Matte laminating pouches also provide a writable or dry erase surface. 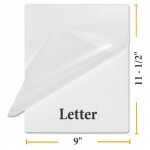 Letter Size Heat Seal Lamination Pouches Pouch Measures: 9" x 11.5"
Double Letter Size Heat Seal Lamination Pouches Pouch Measures: 12" x 18"